I've been thoroughly enjoying knitting my Rainshine shawl. 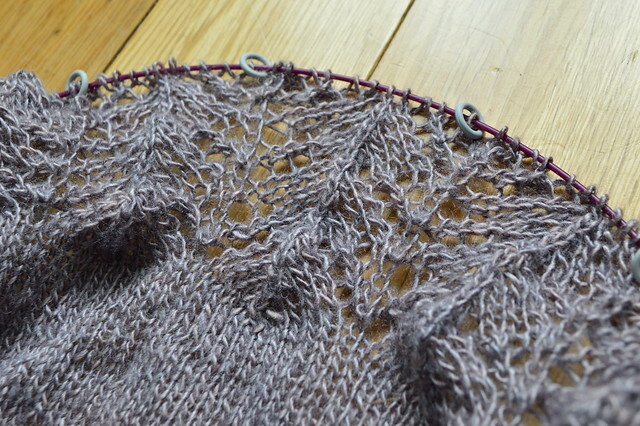 The first part of the lace section is very straight forward to knit but I'm itching to get to the beaded bits. 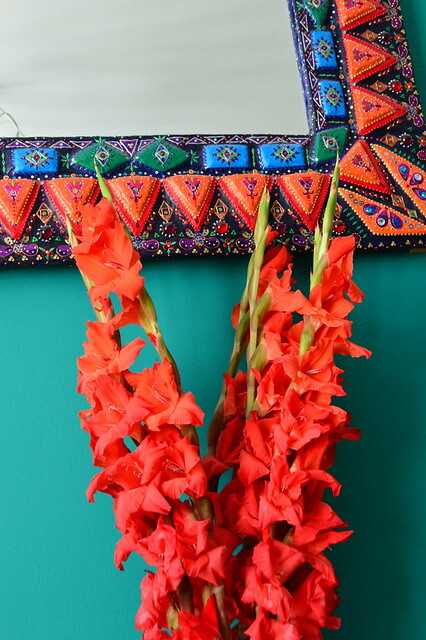 I've done 3 repeats of chart A as suggested in the pattern and now it's chart B which has the beads and gorgeous border. 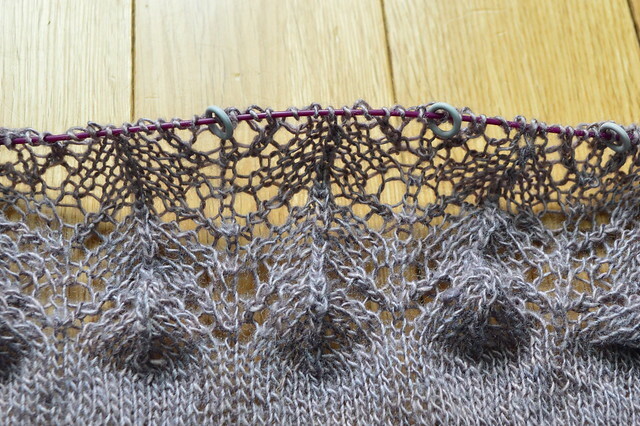 It's going to be beautiful when it's blocked out, I think Tussah silk works really well for lace knitting as you can block it surprisingly hard. I've just made myself a cuppa so I'm going to get a couple of rows done before I have to get the children from school. I've had quite a productive morning, baking, ironing, cleaning, washing clothes and vacuuming so I'm going to enjoy an hour with my feet up before the chaos starts again lol. I'm going to leave you today with a video of the puppies enjoying their first explore outside aged 4 weeks. We won't know which one will be ours until after Halloween as the breeders are matching pups to families. It's a relief to be honest, I don't know how I would choose! i can smell that puppy breath from here - i love puppy breath!!!! Thank you :) I love lace knitting, so satisfying seeing the design emerge. That is one extraordinary mirror. I noticed it right away. The shawl will be so amazing after it's blocked. What pride you'll feel when you tell ppl you made that. Subtle isn't it lol. It's even better at night when the sequins and shiny bits reflect the light.